UNDERSTANDING AMPLIFIERS AND DIRECT CONNECT CABLES - Headsets Direct, Inc. Ordering the wrong Direct-Connect Cable accounts for our highest number of returns and the most frustration from our customers. Please use our compatibility guides listed below or give us a call at 1-800-914-7996 for assistance. 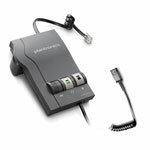 1) Plantronics H-series headsets terminate with a Quick Disconnect (QD) and do not plug directly into your telephone. 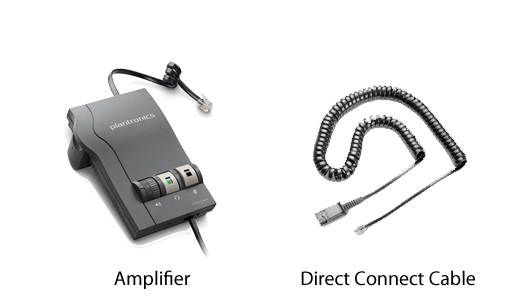 2) Plantronics Amplifiers and Direct-Connect cables have the matching Quick Disconnect (QD) for your headset and either an RJ9 modular plug or 2.5/3.5mm jack to plug into your phone. 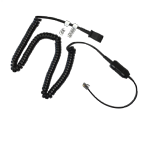 3) Start with our headset compatibility guides to see what you need. 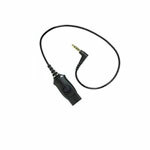 M22 Amplifier Compatible with most phones and provides microphone and speaker volume controls. An amplifier will provide you with the best possible sound quality, ensuring all conversations are held at a consistant and comfortable level. 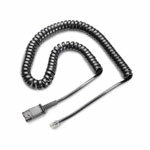 Most common cable for phones with built-in amplifiers. Works specifically with Plantronics H-series corded headsets. 26716-01 Cisco IP phones with headset ports. Works specifically with Plantronics H-series corded headsets. Avaya phones with headset ports. Works specifically with Plantronics H-series corded headsets. Typical Avaya phones include 9600 series. 49323-46 Avaya phones with headset ports. Works specifically with Plantronics H-series corded headsets. Typical Avaya phones include 4600, 5400, 5600, 9400 series. Grandstream and Yealink phones with headset ports. Works specifically with Plantronics H-series corded headsets. 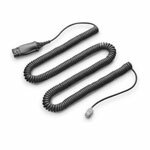 38541-02 Plantronics MO300 Quick Disconnect to 3.5mm Adapter for Smartphones (most Apple iPhones, Android, Samsung and Blackberry Phones) for use with any Plantronics H-Series headsets. 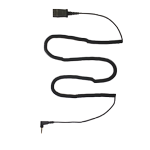 64279-02 Plantronics 2.5mm Quick Disconnect 16″ cable allows any Plantronics H-series headsets to be used with telephones using a 2.5mm jack. Origionally designed for use with Cisco SPA telephones. 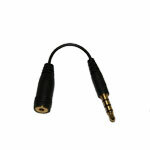 84372-01 Allows 2.5mm headsets to be used with most 3.5mm Smart Phones. This includes, but is not limited to, adding headset options for the Apple iPhone, Android smartphones, Samsung smartphones,Blackberry smartphones and tablets. 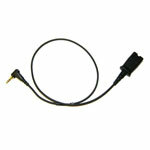 This is an adapter that allows you to use H-series headsets by Plantronics to connect to a PC. 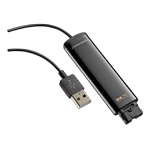 This adapter will plug into the USB port on your PC and your Plantronics headset. 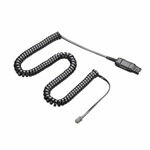 This is ideal for those who frequently use soft phones or who use their headsets as a sounds listening device from their PC. 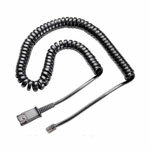 When using any H-series headset with business phones, a Direct Connect Cable or amplifier is required to plug in between your headset and phone. Using a Direct Connect Cable will save you money versus an amplifier but an amplifier will provide optimum sound quality and volume controls. The Plantronics M22 was designed specifically for those who use VoIP phones and need a little more clarity and consistency and basically overall better audio clarity performance. The amplifier will allow you to connect a single or multiple lines all at once. The Quick Disconnect (QD) feature allows you to connect and disconnect without sacrificing the call or disconnecting with the party on the other end. The M22 comes with a 10 foot length cord which will allow you to have more freedom to move around your office, even with your corded office headset.